This year St. George's day (May 6th) promises to be interesting and definitely not much of a holiday. Then in Serbia there will be three types of elections in one day - presidential, parliamentarian and local. In the same day it is expected elections to take place in Greece too, which has been the epicentre of the eurozone debt crisis for two years. And for May 6th is scheduled the second round of the presidential elections in France. It is clear that France and Greece will push the Serbian voting aside, at least because these elections are not expected to solve anything specific but only to mark the beginning of a very long way, which Serbia has to walk ... hand in hand with Kosovo. Besides, enlargement is not quite among the main priorities for the EU at the moment, although it is evident that the European Commission is trying to inject new impetus to the most problematic elements of accession. As it becomes clear from the statements of the two main candidates for the presidential elections in neighbouring Serbia - Boris Tadic and Tomislav Nikolic - the European integration is in the foundation of their election platforms. This is great, against the backdrop of the tasks that need to be implemented in order to allow the accession negotiations to start, since a green light was given when Serbia received, after long waiting and much uncertainty, a candidate country status at the Spring European Council. But in order to start negotiations, Belgrade has to invest much efforts to improve its relations with Kosovo. In an analysis entitled "Serbia and Kosovo: Toward A Normal Relationship" Stefan Lehne, visiting scholar of Carnegie Europe, an influential foreign policy think-tank, it is pointed out that the Western Balkan's European integration still is a remarkable motive for the governments in the region, in spite the serious scepticism in terms of EU enlargement because of the debt crisis, and also because the most difficult countries for accession remained - Turkey, Serbia, Macedonia, Bosnia and Herzegovina. Montenegro is also queueing and expects to start negotiations but it definitely does not deserve to be included in the group of difficult countries, because it does not have complex and unsolvable issues with its neighbours. - Accepting Serbia with its current relations with Kosovo would compromise the process of integration of Pristina with Brussels, especially given that five member states - Spain, Romania, Slovakia, Greece and Cyprus - do not recognise the former Serbian province's independence. According to Carnegie's analysis, the EU should handle more actively the process of rapprochement of Serbia and Kosovo, at least because it handled [in some sense unexpectedly] the restoration of the Belgrade-Pristina dialogue successfully after last year's serious rising of tensions. In July 2011 the government in Pristina sent special police forces to the border crossings with Serbia in Northern Kosovo, where, according to rough estimates, live some 40,000 Serbs. 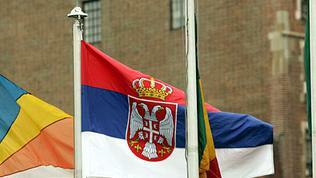 The purpose of this decision was to impose a trade boycott on Serbian goods. The Kosovo Serbs in the northern part reacted violently against the international security forces [which evoked Germany's anger, after several German soldiers suffered] and by building barricades. - ceasing Serb resistance to Kosovo's membership in international organisations and future recognitions of the former Serbian province's independence. The EU must initiate the process by appointing a high level envoy to lead the negotiations among the three parties (Belgrade, official Pristina and Northern Kosovo). So far so good, the author writes, because Serbia already made it clear that it was ready for concessions for the sake of starting accession negotiations. In February was reached, according to Mr Lehne the most difficult, agreement related to Kosovo's representation in regional cooperation. Although this has nothing to do with the crisis itself, this is probably the most important result from the dialogue so far, is pointed out in the analysis, because Kosovo was until recently represented at regional meetings by the UN mission in Kosovo (UNMIK), established with resolution 1244 by the UN Security Council after the war in 1999. According to what has been achieved in February, Kosovo will be capable to sign new regional agreements on its behalf and to take part in all regional organisations and meetings. The key is hidden in the following agreement: the Kosovo delegation will sit behind a table with an inscription "Kosovo" and an asterisk. In a footnote it will be written: "This designation is without prejudice to status, and is in line with UNSC 1244 and the ICJ Opinion on the Kosovo Declaration of Independence". The author thinks that this breakthrough required major concessions from both sides because Belgrade for the first time allows Kosovo to speak and behave like an independent subject and Pristina admits that it still is not quite a normal country. - process of regulation of property. St. George's day this year will be especially important for the Serbs. Boris Tadic made a surprising move recently, resigning 10 months before his term ends. The explanation was that if elections 3 in 1 take place this would save money for the budget. One cannot stop thinking, however, that the sooner Tadic runs for a third term after Serbia got a candidate status, the more certain it would be for him to cash down this indisputable achievement. As it becomes clear from the latest poll by the Centre for Free Elections and Democracy (CeSID), for the Serbs the most important is the country's economic development and the increase of the standard of living, and only then come priorities like fight against corruption, European integration and the solving of the Kosovo problem, investments in health care and education. Everyone is waiting for the elections on May 6th, everyone for various reasons, but all of them important for the European future. There are many of us in Serbia that think that these types of "analysis" are complete rubbish. EU is in a rapid decay and only naive Western bureaucrats can think that Serbia will "embrace" their tricks and carrots. The majority of us in Serbia will fight for Kosovo for ever since EU and USA are currently trying to create a greater albania. There will be no peace without a substantial return of internally displaced Kosovo Serbs (40 thousands are ethnically cleansed just from the city of Prishtina). Playing into Albanian hands for all these years will backfire EU and USA as their main military master. Serbs are patient and ready to close this non-sense with "EU experiment". Just wait and see how the people of Serbia will vote in May. Your ridiculous lackeys as Tadic and other "pro western" politicans will go into history or opposition. 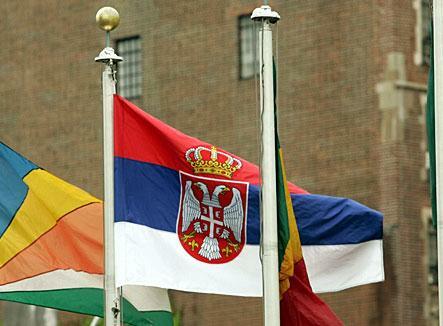 It's time to stop EU, NATO and its master USA from meddling into Serbia's integrity. Read my lips, NO EU and NO NATO forever, get out of Serbia and any other territory where Serbs live. This partially recognized territory ("srbija") has taken billions of EURs and has appropriated funds to destabilizing its neighbors. Enough is enough. Keep this black hole out of the Union. Your guess is as good as mine. Undoubtedly though it is destined to be a financial blackhole for the cash strapped EU. Serves Brussels right! Who are these Eurocrats to tell Serbia what it must do in regards to dealing with Kosovo, which is a area belonging to Serbia. The West is temporarily occupying Kosovo but make no mistake about it, whenever you do leave we will simply walk back into Southern Serbia and take it back. We realize we can't fight Germany (who is occupying Serbia for the 3rd time in 100 years) without risking complete extinction but by God you can't stay there forever. Espacially with your omnipotent EU project falling in the gutter, we will be ready to take back our Christian historical heartland whenever you Nazis leave don't you worry. It is interesting to read the comments of some of the readers, who manifest themselves as hard-core right wing Serbian nuts. Some of the comments are truly baffling, i.e. 40,000 Serbs ethnically cleansed in Prishtina? I do not know if you where around those times, but I assure you that it was the opposite; sure many Serbs left Kosovo, but considering what the Serbian military did to the Kosovans, it was wise of them to leave. And please stop playing the victim: there has been 3 major and brutal wars started by Serbia in the region, something not matched by any other Balkan State/Nation. And the religious bravado must also be stopped (Croats were Catholics, and that did not stop the Serbian army now did it?! History is our greatest teacher, and if it has taught us anything, is that Serbs are slaves of their own brutality and stupidity. Soon, Vojvodina will want to separate too, why not, with all the EU funds received, nothing has improved, time to change management.